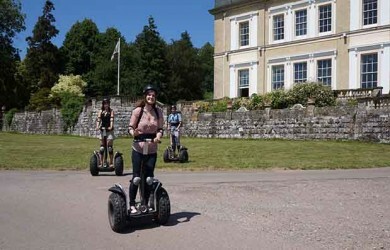 In Devon, we are fortunate to have access to a multitude of activities to fill you time whilst you are on holiday. 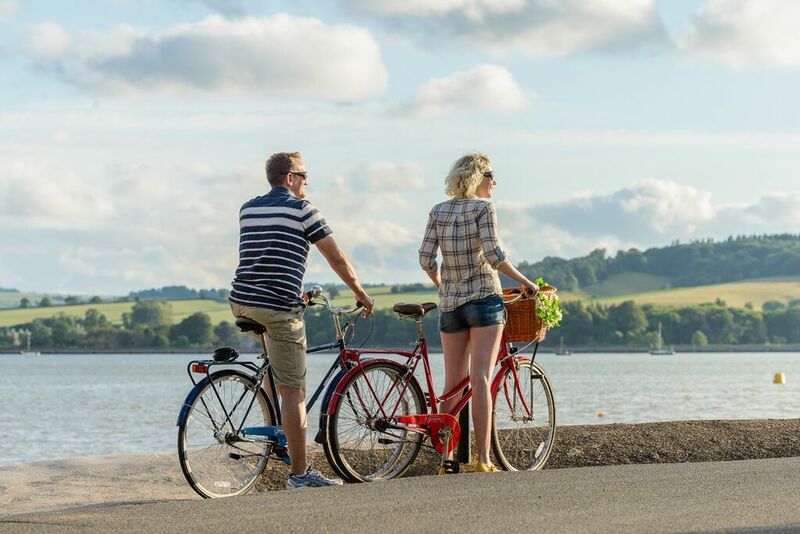 From walking to water sports or bike riding to beaches Devon can offer it all. 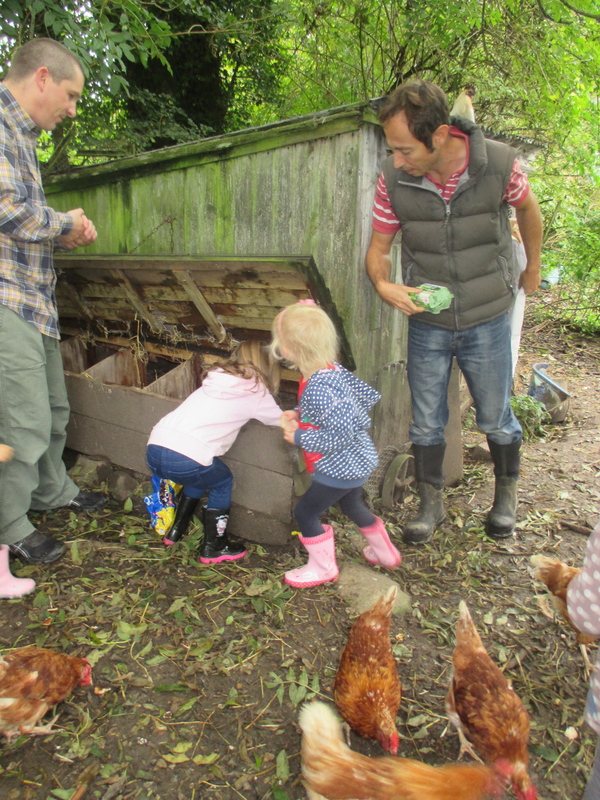 If you are keen to spend a whole morning with the animals we can arrange Farm Expeience Mornings. We have the Offwell brook bubbling along the boundary of the farm and a large pond. 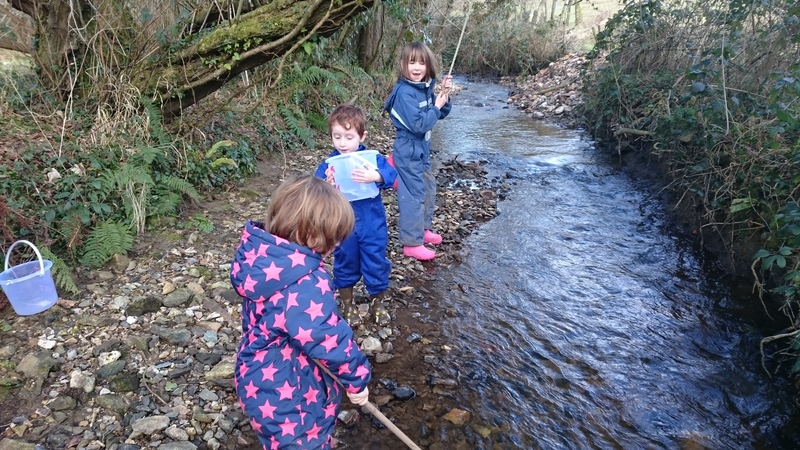 My girls have spent many an afternoon playing pooh sticks, building little boats, playing on the rope swings, crossing on fallen trees and building dams. We also have some clear buckets, nets, magnifying glasses and identification charts if you fancy a spot of pond dipping. 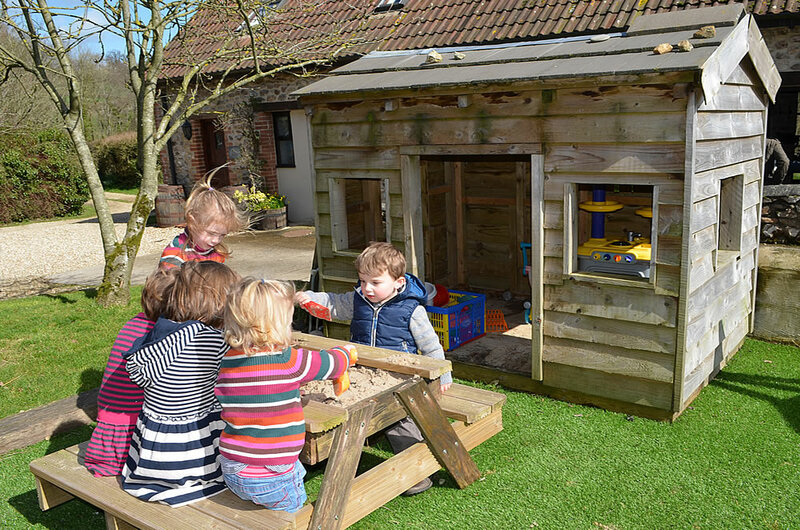 We have two outdoor play areas at Smallicombe, a toddler play area just outside the dining room and a larger one to the right of the Self-catering cottages. The toddler playarea has a sand table, play house, little slides and a rocking horse. 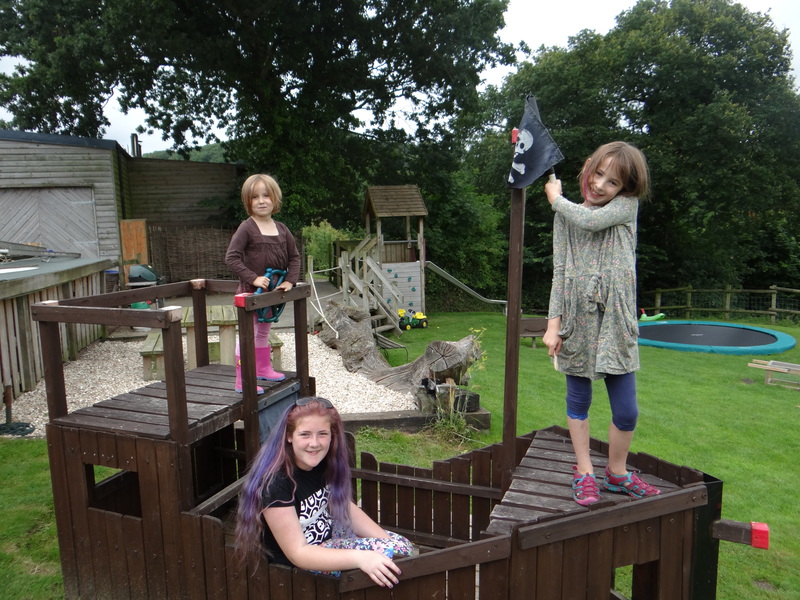 The larger playarea has a basket swing, pirate ship, slide, climbing wall, sunken trampoline and willow dome. There is also a BBQ, seating area and fantastic view down and unspoilt valley thrown in. There is also a swing ball, badminton net, croquet set and bowls set that can be used in the farmhouse or cottage gardens. There are also some kites that can be used in the fields adjoining the playarea. We have recently converted an indoor playroom on the farm. The playroom houses a table tennis table, the Guinea pigs and several toys that can be either be played with in the playroom or taken back to the cottages. The toys include a dolls house, play farm, peppa pig toys and stickle bricks. There is also a play kitchen and play shop to keep the little ones amused. In addition, there is a collection of DVD’s, board games, puzzles and books that can be borrowed during your stay. 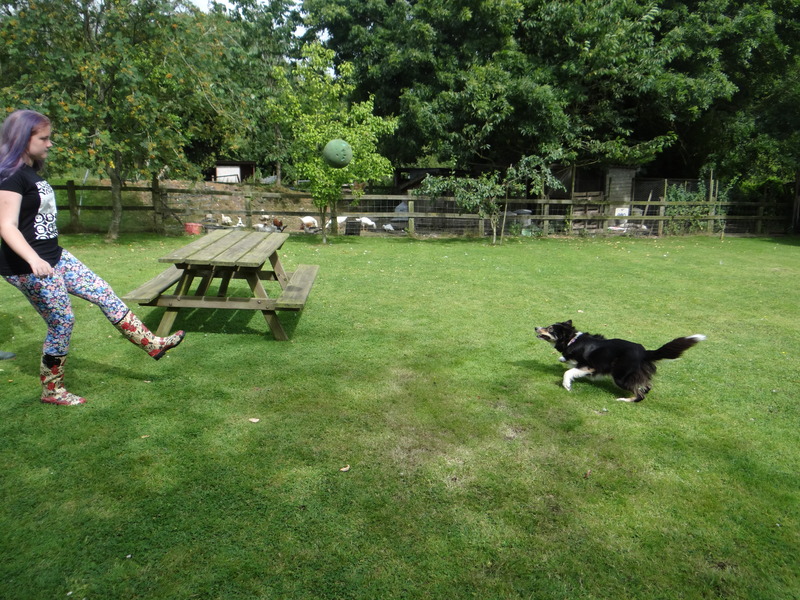 Our Collie dog Dizzy has boundless energy and is also after a great game of catch the ball! Whether you just want to through a tennis ball or play footbal I’m positive the kids will tire before the Dizzy…….. There are 2 marked trails around Smallicombe Farm, one approx. 0.5 mile and one approx. 1 mile. 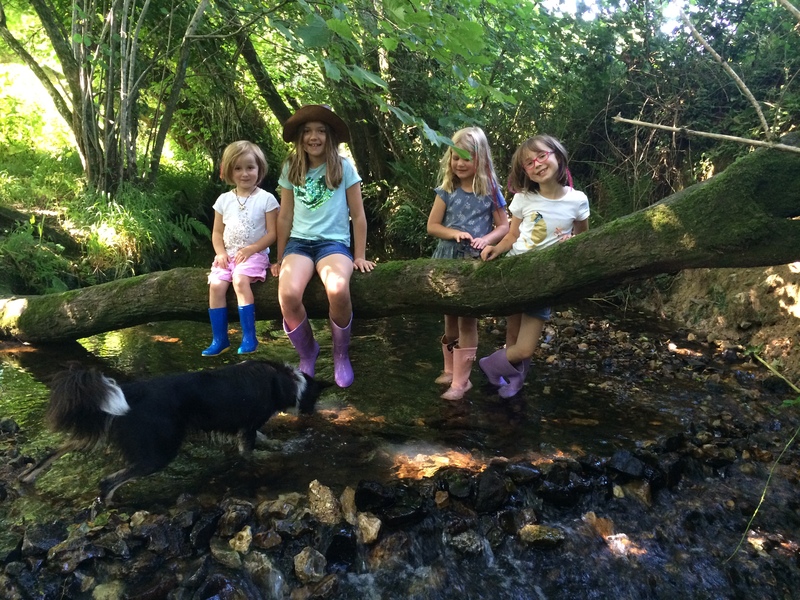 The Farm trail will take you along the bubbling offwell brook, around the pond, through fields with our Dorset Down sheep and Ruby Devon Cattle grazing and into our ancient woodland. There are plenty of opportunities to take in the stunning view across the valley and if you are lucky enough to visit late spring our woodland is carpeted with a sea of bluebells. 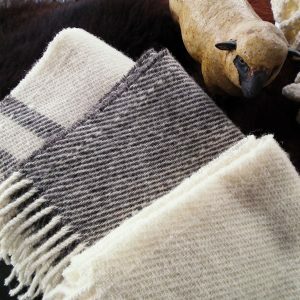 You will pass badger sets, nesting boxes and possibly see deer graving or even a pair of buzzards. If you fancy a longer walk from Smallicombe then a 5 mile circular route to Offwell Woods is lovely. The walk takes you along footpaths, bridle ways and county lanes. Offwell Woods houses a lovely secluded nature reserve, managed by Offwell woodland and Wildlife Trust, where 107 different species of lichens have been recorded. 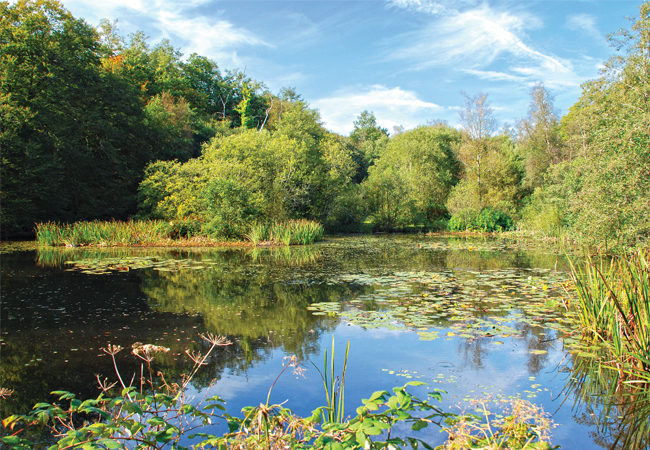 The area is mainly deciduous woods with gurgling streams, little bridges and a lovely pond area. 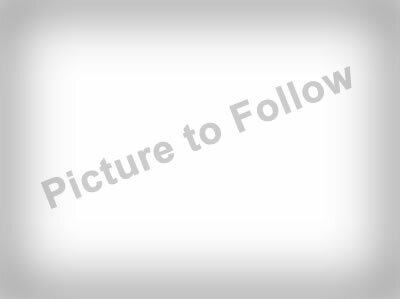 Blackbury Camp is an English Heritage Iron Age hill fort situated in Southleigh, approx. 5 miles from the farm. The hillfort was built during the 4th century BC and probably used for several hundred years. Blackbury Camp had impressive ramparts, and the single entrance was protected by a large triangular earthwork or ‘barbican’. Now surrounded by woodland, the hillfort is a popular spot for picnics. The ramparts are still relatively high, showing an unusual entrance feature. Blackberry Camp offers an easy flat area to walk and ideal if you have a little one in the pushchair. The area is normally quiet, with good parking, with plenty of space to run up and down and around the fort or maybe play a ball game or have a picnic. 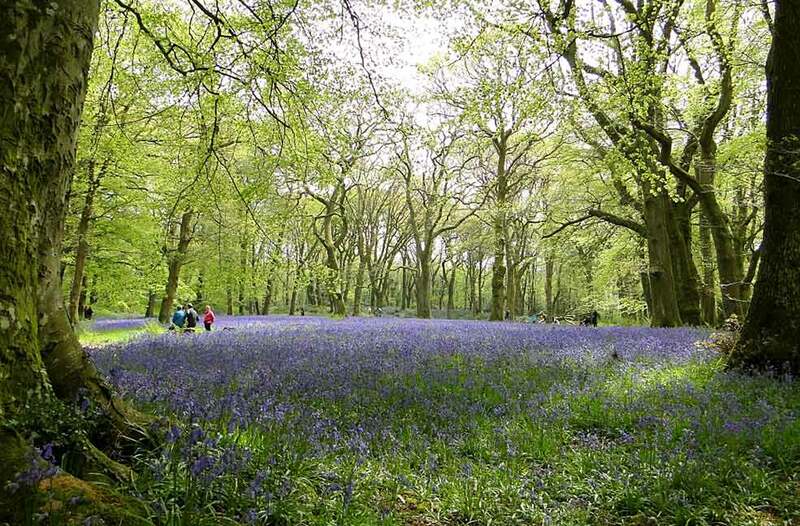 If you visit during late spring you will see a fantastic carpet of bluebells. If you fancy combining with a cream tea then Blackberry Honey Farm is just down the road. The East Devon way is a 40 mile walking route from Exmouth to Lyme Regis, through the heart of East Devon Area of Outstanding Natural Beauty. It also links to the South West Coast Path, the Jurassic Coast World Heritage site and the Exe Estuary. The inland route is created from footpaths, bridle ways and county lanes. We can provide guests with a booklet that breaks the East Devon way into perfect day walks from 4-8.5miles long with details of each walk including relevant sections of the ordnance survey maps. The East Devon way can be acccessed from Smallicombe Farm, via a coounty lane, with a beautiful 4 mile walk to Colyton. From here you could take the Seaton Tram, along the River Axe Estuary, to Seaton Beach. Whilst there are many stunning walks along the South West Footpath Beer to Branscombe is a firm favourite with us, in fact this cliff top walk has been featured as one of the ‘Sunday Times’ top ten walks in England. On a clear day, the views along the Jurassic UNESCO world Heritage site are spectacular with the red Triassic Devon cliffs, clear blue sea and the dramatic Hooken Undercliff. The route from Beer to Branscombe is approx. 2 miles and we do a have routes available for a variety of circular routes so you can return inland, via part of the mason trail, or take the undercliff route. 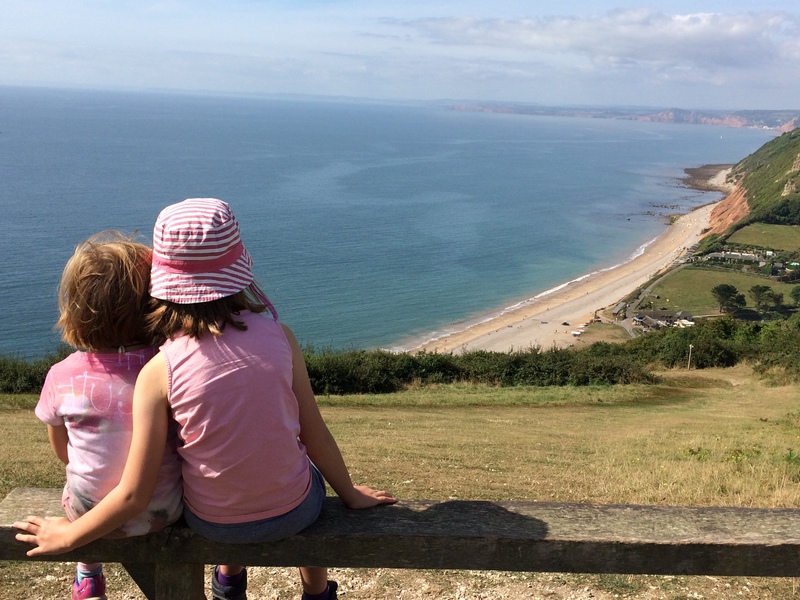 Depending on whether you park in Beer or Branscombe there are a variety of options to refuel with a cream tea, lunch, pint of beer or ice cream part way through your walk. There are a number of interesting galleries or shops to peruse or you could hire a deck chair in Beer or National trust properties explore in Branscombe. The coastline of East Devon is a World Heritage Site designated by UNESCO because of its wealth of prehistoric remains, the Jurassic Coast is considered to be the only place in the world displaying unbroken evidence of 185 million years of evolution. 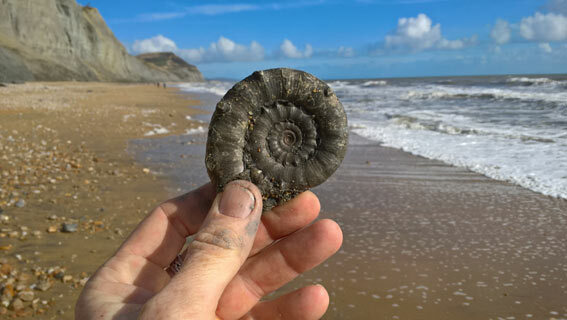 There are some great fossil hunting beaches in both Charmouth, Lyme Regis and Seaton, between 15 and 30 minutes from the farm, and guided walks out of the Heritage Centre in Charmouth and from the museum in Lyme Regis. Booking prior to your stay at Smallicombe is advisable as these walks book up quickly. We do have fossil identification sheets and tide tables available if you are not able to book onto a guided walk. After hunting dinosaur fossils why not discovery what lies below the wave? 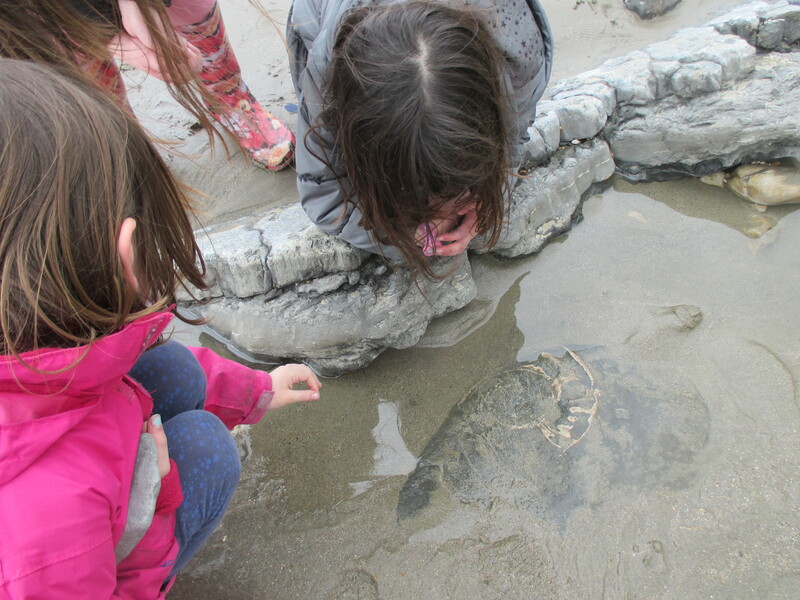 Rock pooling is the driest, normally!, way to see the wonders of the sea. The best time for rock pooling is at low tide but be careful as the combination of rocks and seaweed can be slippery. There are interesting rock pools found at low tide all along the Jurassic Coast including Sidmouth, Branscombe, Beer, Seaton, Lyme Regis and Charmouth. 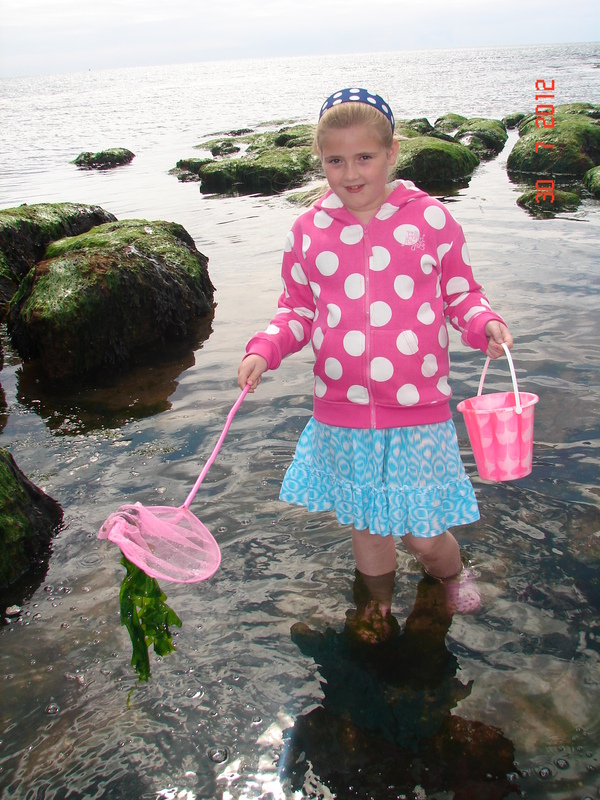 At Smallicombe we have plenty of buckets and nets and some rock pooling identification sheets you can borrow. After identifying crabs in the rock pools you could always try a spot of crabbing off the wall in Axmouth harbour, Seaton or The Cobb, Lyne Regis. 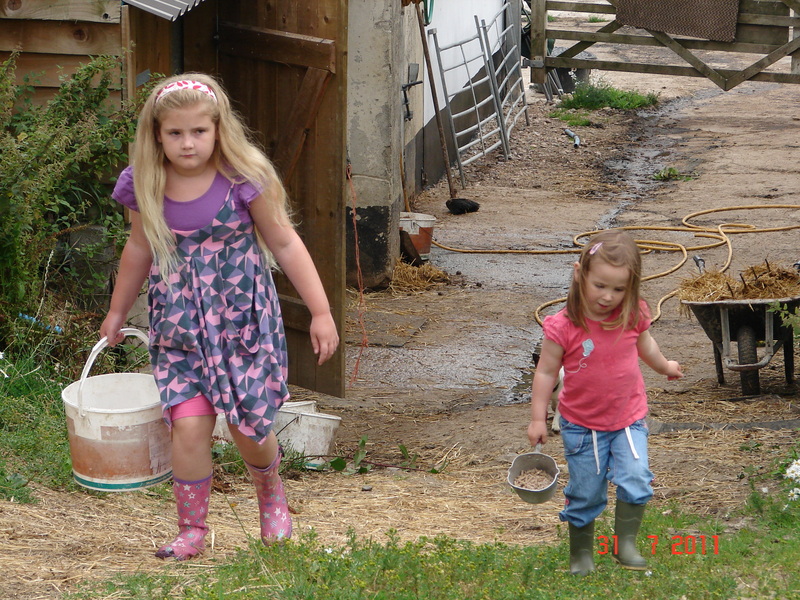 Again we have crabbing buckets and nets you can borrow on the farm…..we’ve been told bacon is the best bate! If you fancy some time on the water rather than by the water then why not try paddle boarding or kayaking. It is amazing how different the coast line looks from the water. 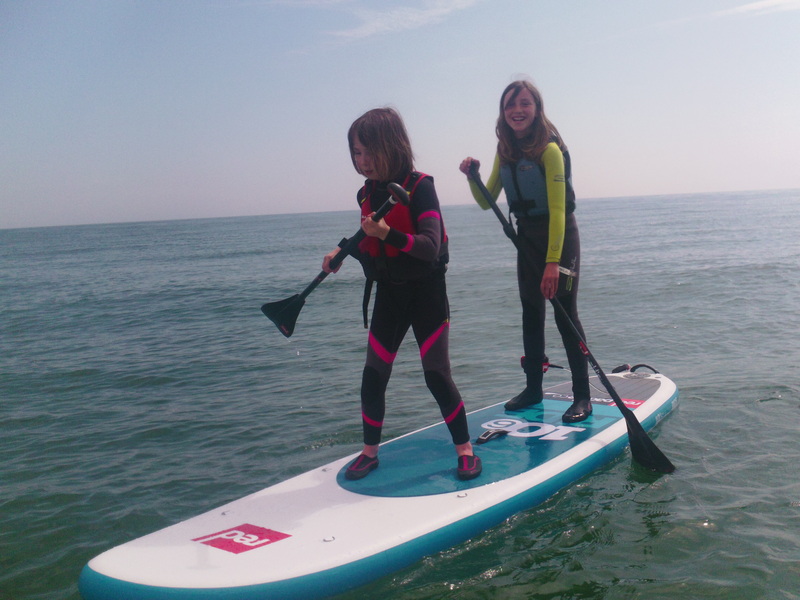 There are a number of friendly hire companies on the local beaches where you can either hire equipment by the hour, arrange a private lesson or go on an organised tour. Please ask if you want any more info on local companies. The town of Beer, once famous for smuggling, but now known for its fantastic fishing and beautiful cove. While Mackerel spend the winter in the deep water over the winter they return to the shallows in the summer months to spawn, they are often found in large fast moving shoals. 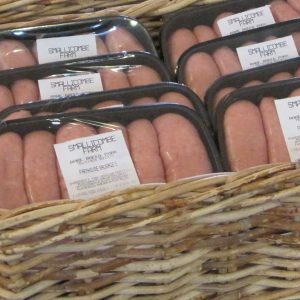 With the aid of local fishermen, many who have been fishing for generations, you are likely to catch these fresh salty morsels for your tea. A mackerel fishing trip out of Beer usually last for one to three hours and is ideal for children or groups wanting something a bit different for a day out. Not only do the kids get a fair chance of catching a mackerel (with bait, lines and expert tuition all provided) but a couple of hours on the high seas also provide the chance to see dolphin, seals and sea birds. 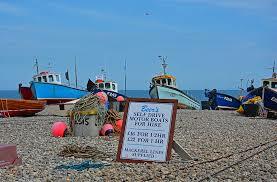 There are also fishing trips out of Axmouth Harbour and Lyme Regis. If you fancy going it alone then you can hire a little boat, by the hour, from Beer. 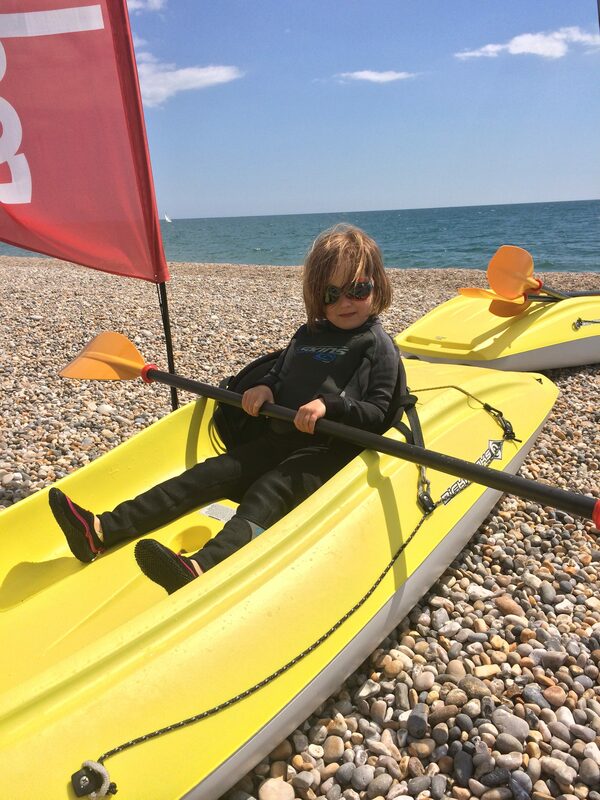 As well as all the exciting activities listed above you can also enjoy some old-fashioned bucket and spade beach time whilst visiting the Jurassic Coast. Sandy beaches can be found at Lyme Regis, at low tide at Jacobs Ladder, Sidmouth. A bit further afield, approx.40minute drive, you can also find a 2 mile stretch of golden sand at Exmouth. There plenty of beach equipment in the play room at Smallicombe that guests are more than welcome to borrow including buckets, spades, kites, beach tent, balls (if farm dogs haven’t put a hole in them!) and body boards. Nearly 4km of level trails and boardwalk through beautiful marshland and reed beds alongside the river Axe, home to an abundance of wildlife. The signposted trails at the Wetlands make them ideal for a peaceful stroll in the fresh air; you can also have fun pond dipping, or enjoying a picnic with family and friends as well as getting to see your wonderful local wildlife up close from the five hides. Both my girls learnt to ride their bikes here so ideal for a walk whilst your little ones build up their confidence on two wheels! 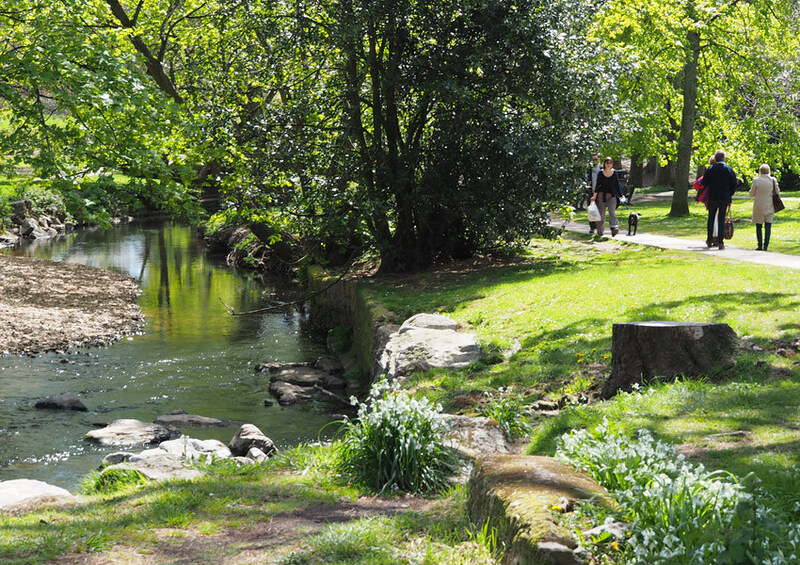 The Byes Riverside Park between the village of Sidford and The Old Tollhouse, is one of Sidmouth’s most important green spaces. The cycle path is about 2km in length, and is made up of the many fields and meadows surrounding the River Sid. Great for young children to cycle their bikes as very flat. The Exe Estuary meanders from the cathedral city of Exeter to the coastal town of Exmouth, past quaint riverside villages and beautiful countryside. 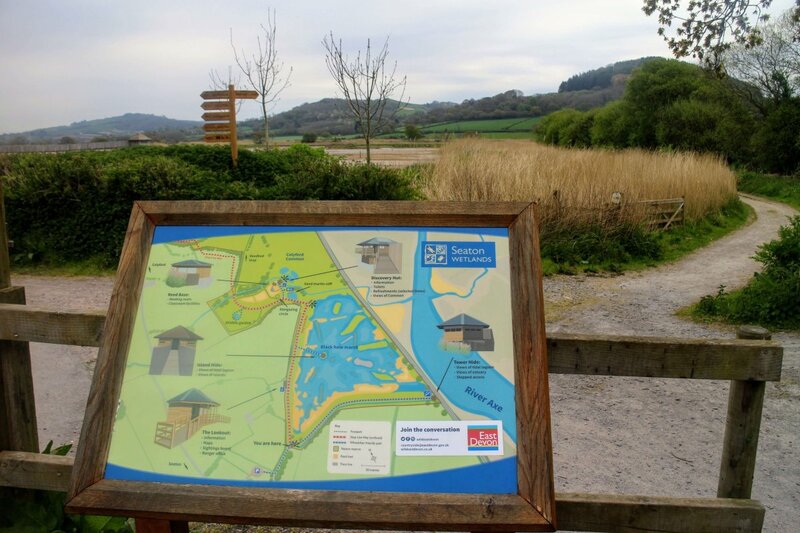 The RSPB have two nature reserves located on the Exe Estuary, with the area being a site of international importance for wading birds. This newly constructed cycle trail offers an almost entirely traffic-free and wonderfully level route. 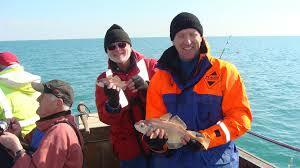 Darts Farm is conveniently located half way between the city and sea offering a perfect starting and finishing point. 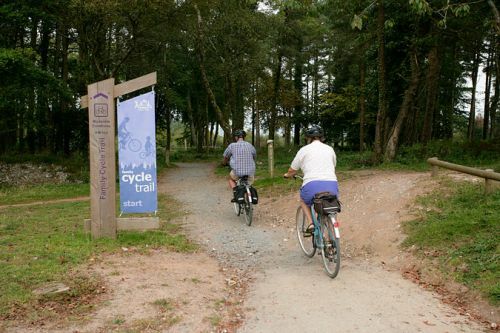 There are a wide range of walking trails including the Discovery Trail, a multi-use, all-ability trail with traditional and natural play features, and the Butterfly Trail, a more challenging walk but with the potential to discover some rare butterflies in the peaceful depths of the forest. The Discovery, Spicers and Kiddens cycle trails help you gain confidence in off-road cycling and there is a technical trail designed for the more experienced mountain bikers. If you are looking to develop new skills try the cycle Skills Area and Pump Loop. 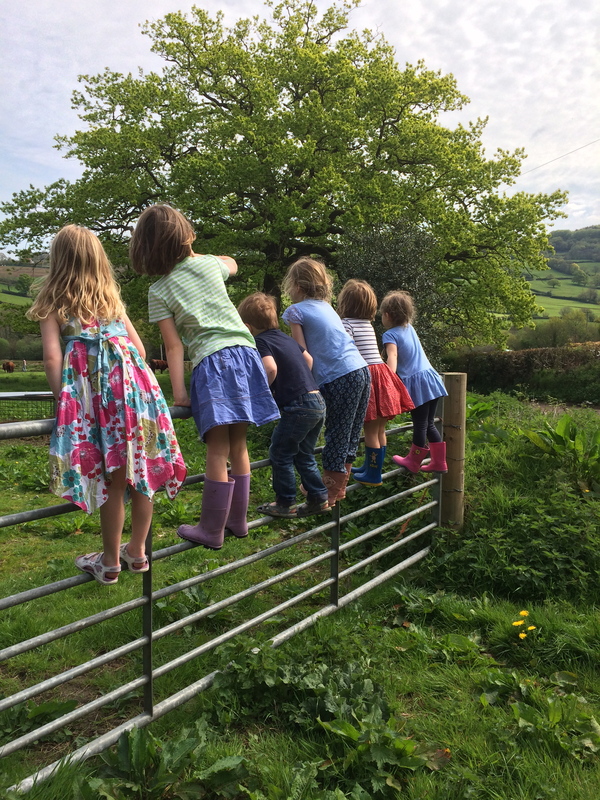 Devonish Pitts is just down the road from the farm and has both and indoor and outdoor school. They offer lessons from 4 years from ½ hour to 1 hour lessons and or hacks. Children from 7 years old can enjoy a fully supervised morning or afternoon. This includes an hours riding lesson/hack and lots of practical tuition of pony care and stable management. Very friendly and lessons start from £18 but booking is essential. 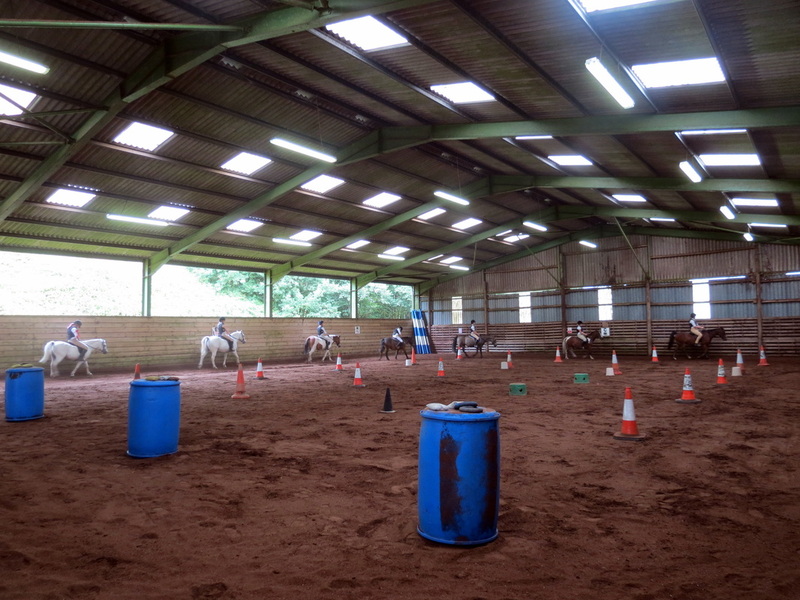 East Devon Riding Academy can also take children from 4 years of age but only have an outdoor arena. You can either book private lessons or pony mornings, that are held on a Tuesday and Thursday during holidays. They also have pony playgroup during term time on a Wednesday morning. 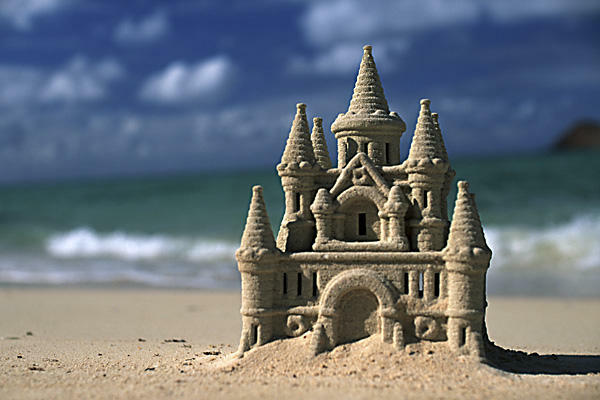 Booking is again essential as they are very busy during holidays and weekends. 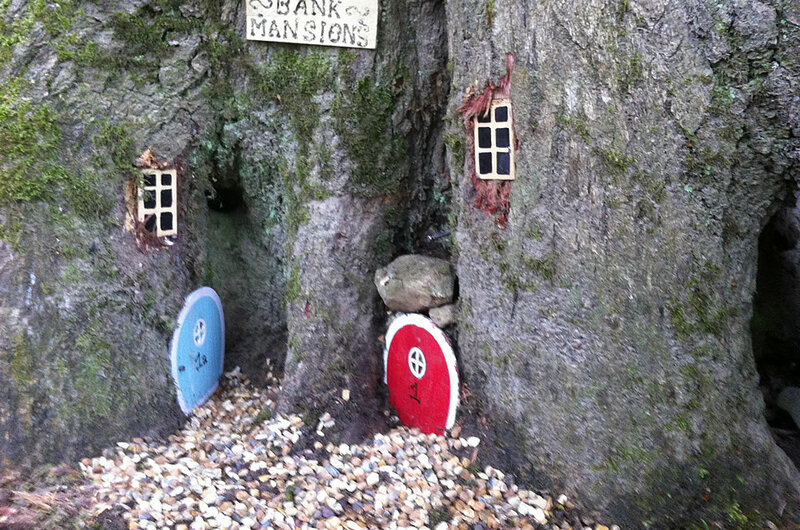 Set on the edge of wild and magical Dartmoor in Devon is a hidden gem of all things cute and cuddly. 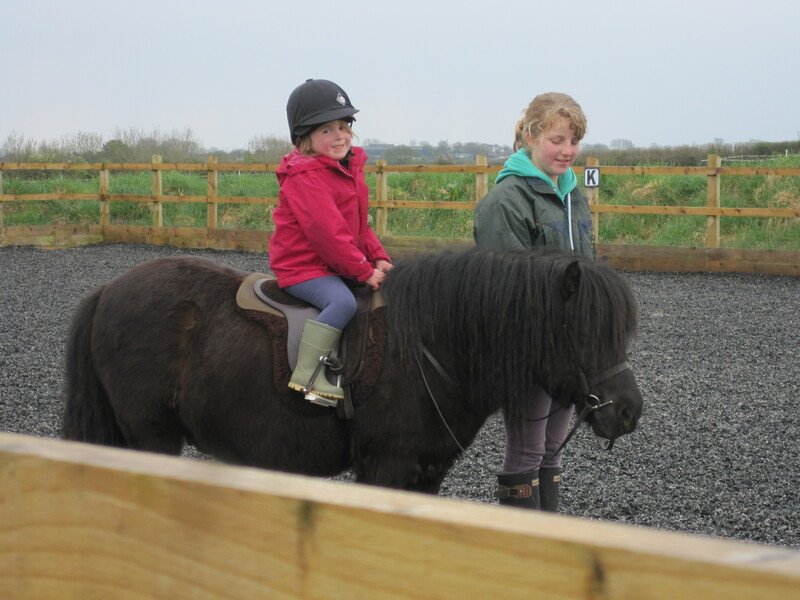 You will be able to go into paddocks full of miniature ponies and tiny foals. 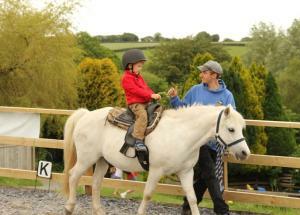 Pony rides are available from 3-10 years and cost £2. 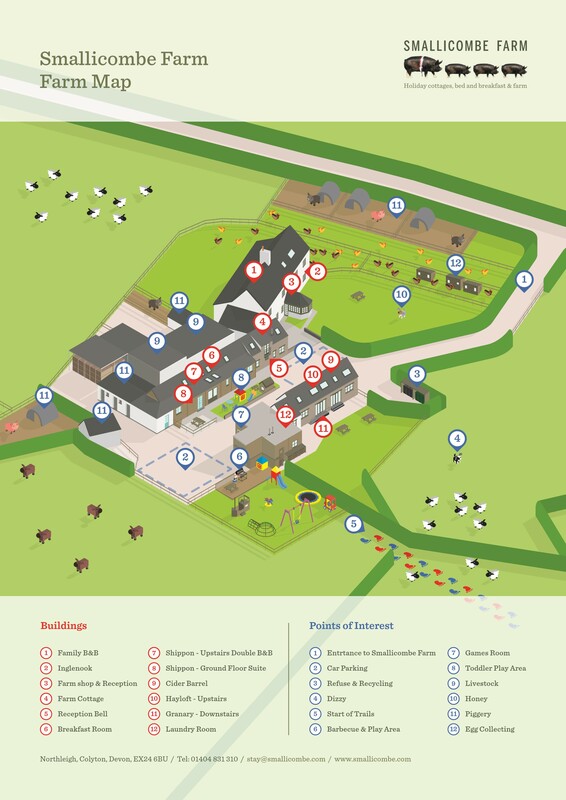 There is also indoor play areas, outdoor play areas, children entertainers, other farm animals and gardens. The Bear Trail is aimed at ages 6-14 but there is an outdoor ‘Cubs corner’ for the 5 and under. The concept has been conceived in order to provide children with a space to invent play and be tested so they work together and push their boundaries. There is a path for bears who don’t like getting their paws wet…However for the more adventurous there are stepping stones across mud pits, and nets across rivers. 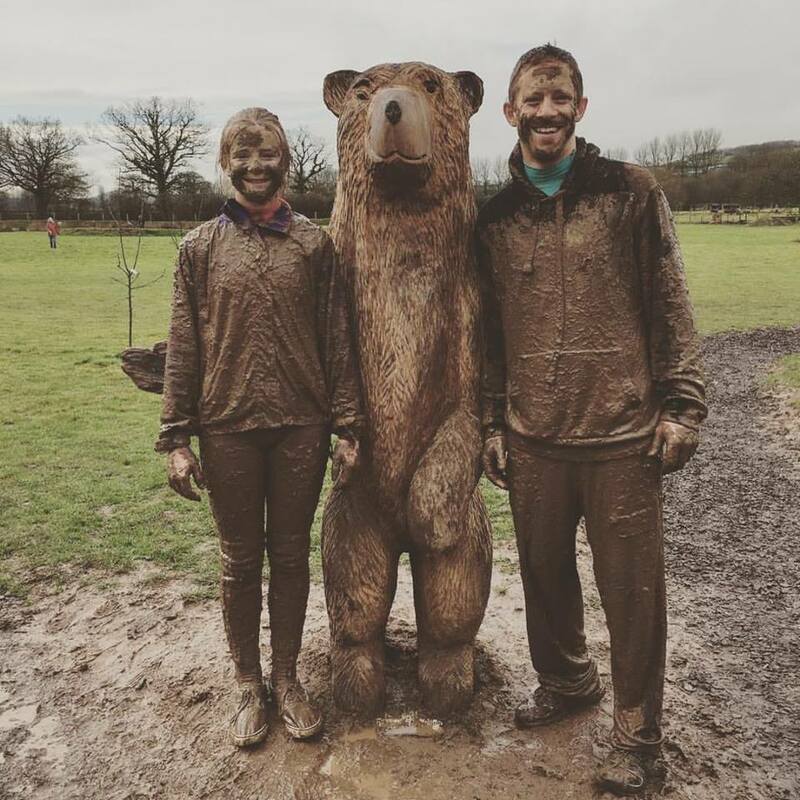 Mud washes off… experiences stay forever! Love mud. Love Life. 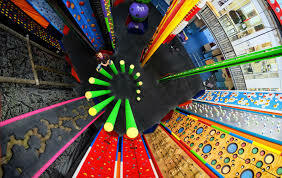 Indoor climbing has never been more accessible, you do not need any experience to have fun at Clip ‘n Climb at The Quay in Exeter, perfect for a rainy day. 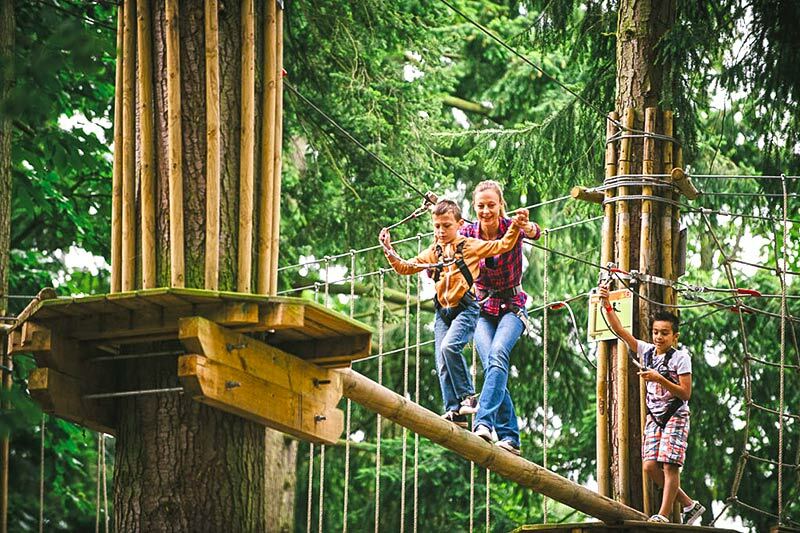 Their auto belay system ensures that you can climb safely without assistance. There are 26 amazing climbing challenges which are made equally as exciting for beginners or experts with multiple routes to the top. Children from as young as 4 can join in. I need some text I need some text I need some text I need some text I need some text I need some text I need some text I need some text I need some text I need some text I need some text I need some text I need some text I need some text I need some text I need some text I need some text I need some text I need some text I need some text I need some text I need some text I need some text I need some text. 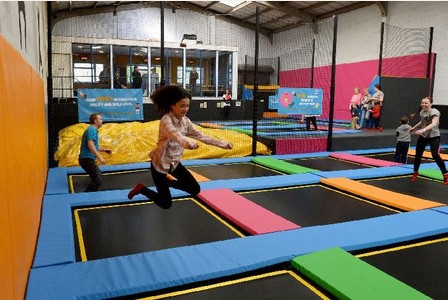 Devons first trampoline park has now opened in Exeter. Bouncers can experience an open bounce zone, giant airbag, activity & stunt zones, dodge ball court, light chaser games and foam pitts. You book in for 1 hour sessions but we recommend to book in advance as can become busy on wet days.